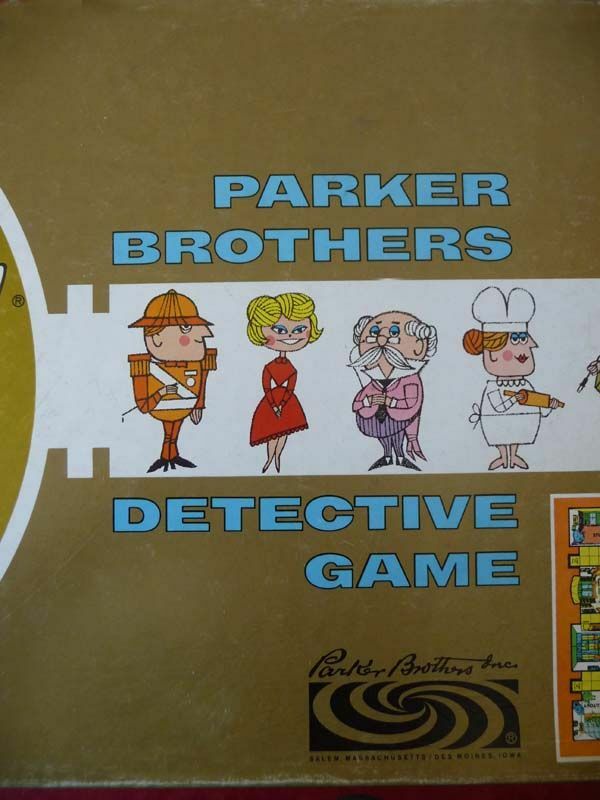 Meet my favorite board game. Clue. 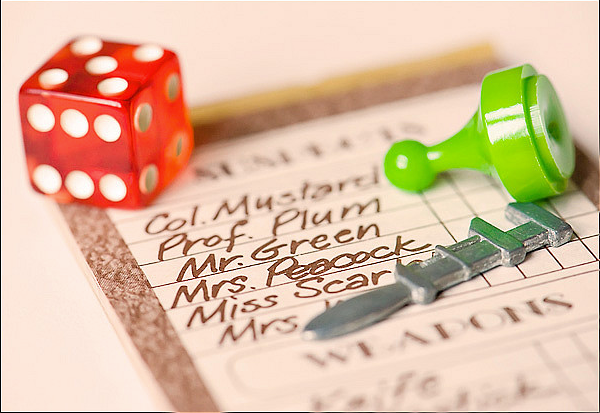 This charming lil “murder mystery” detective game is really one the whole family can get into. The premise? Someone has killed Mr. Boddy and you must deduce WHO DONE IT! 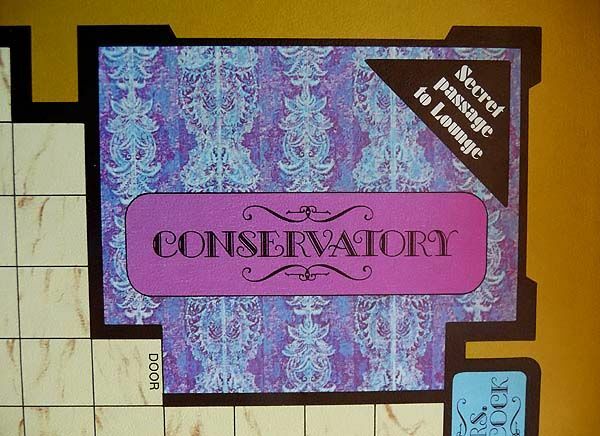 Players get to choose from 6 different “characters” (aka suspects) and you travel around Mr. Boddy’s mansion, collecting clues. 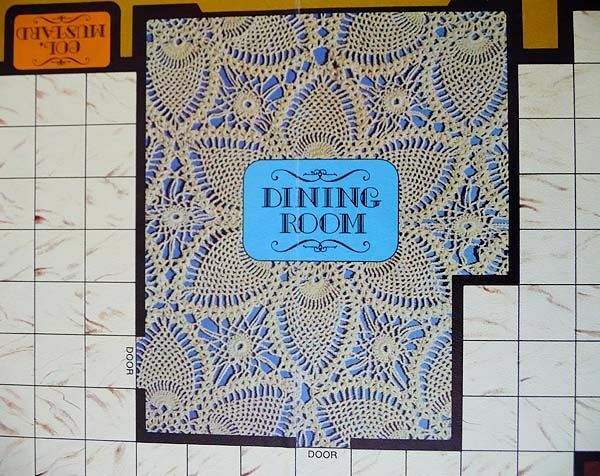 The ultimate goal is to figure out who was the murderer, in what room he (or she!) killed Mr. Boddy and with which weapon. Sounds grisly but I promise ya, it’s not at all! The feels a bit like an Agatha Christie Miss Marple mystery—and because it’s not scary, its great fun for kids. 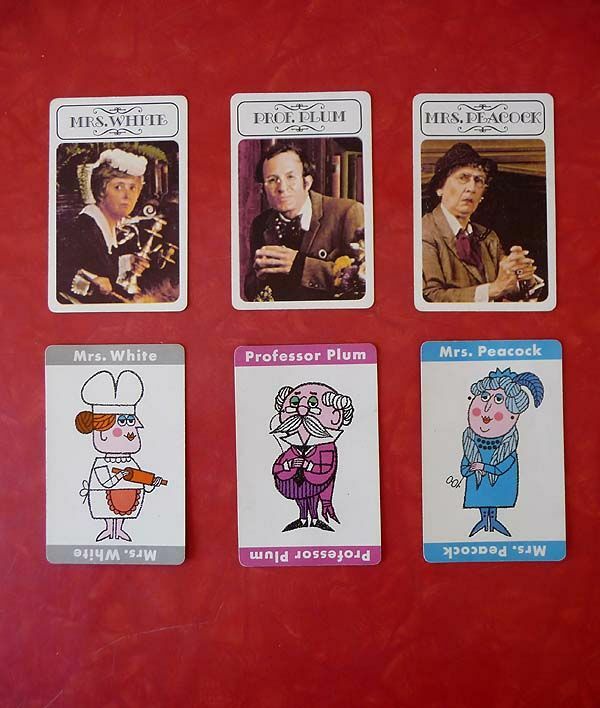 Over the years they’ve released several different versions of the Clue board game, with the graphics updating to reflect the design of the time. We love it so00 much we have four different sets! You might recall we also took it camping with us. Let’s take a look at one is one of my favorite versions, the 1963 edition. Just look at the cute illustrations! Cuuuuuuuuuuute, yes?? I bet Mr. Green did it. With the shillelagh. Hee. But as cute as this is, I have to confess my REAL favorite is the one I grew up with. That’s THIS 1972 version. And oh ho ho, is it different. You don’t get the same charmingly sweet drawings, but this version has the added layer of mystery and drama by showcasing actual actors as the characters. And oooh the drama! 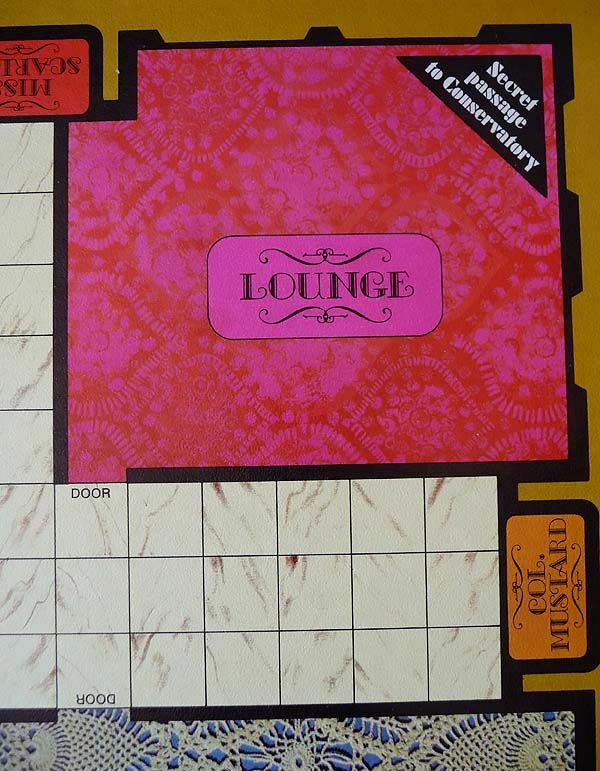 I was always Miss Scarlet….and I was verrrrry transfixed by The Lounge. And The Ballroom. And ze candlestick. We played this game alot growing up. I still can hear my favorite aunt, Tante Maria counting out her prediction in her cute German accent, “It vas Mista Green, in de conservatory….mit de leadpipe!” My Uncle Max was always sneaky and would try and spy on us to see which portion of the notepad we were marking off when we got our clues (top portion meant person, middle was weapons, bottom was rooms!). I love to see how they have updated the game over the years. The latest versions I’m not too keen on, but just look at these two. SO MUCH FUN! OK friends. 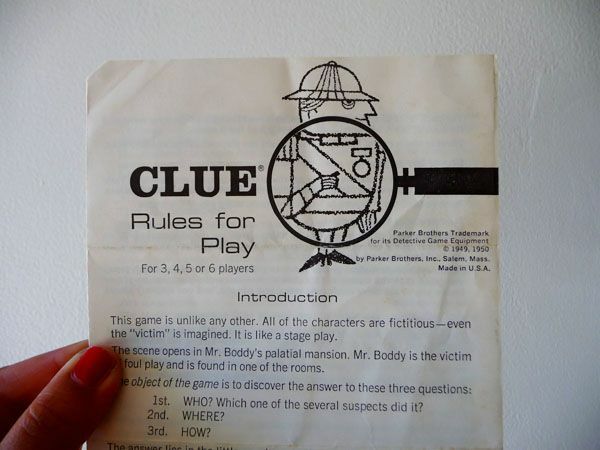 Do you love Clue?? 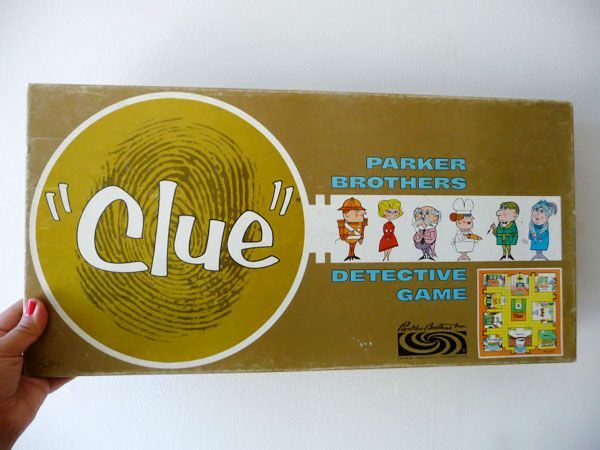 And did you know there was a CLUE movie? I haven’t seen it in years but I remember loving it. I wonder if it has stood the test of time….hmmm. 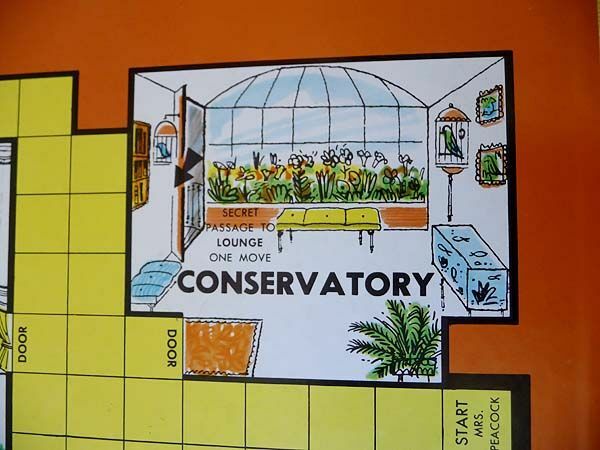 Perhaps I will cozy up in the Lounge with my candlestick and a copy of it this weekend! Posted in Best of Alix, Best of Modern Kiddo, Vintage Childhood, Vintage Toys + Fun Stuff. 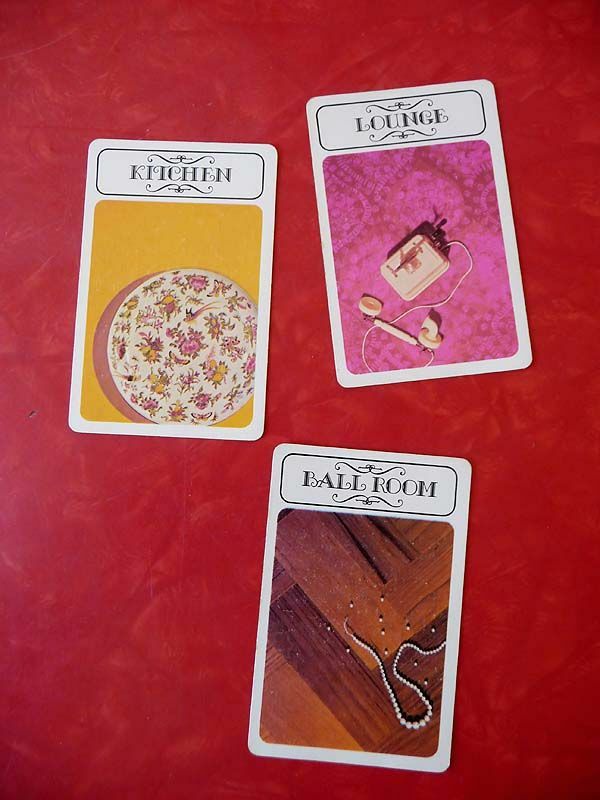 I LOVED Clue. And my favorite thing about Clue is that it became what is still one of the funniest farces ever filmed. Mostly because of Madeline Kahn. YES we used to be obsessed with the movie. And I loved Jane Wiedlan’s cameo as the singing telegram girl!!! I loved this game as a kid! 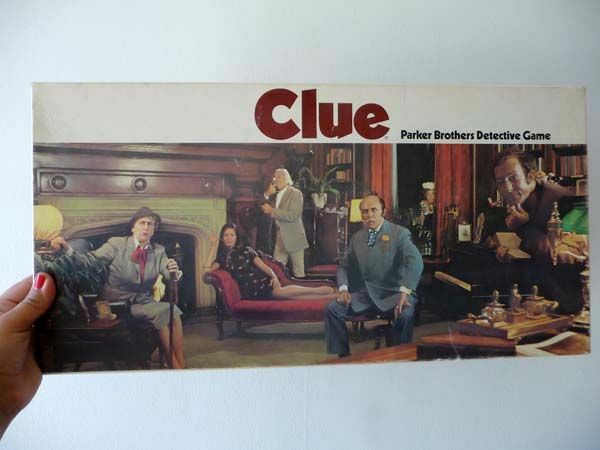 I thought the clue movie was hilarious, but haven’t seen it in years. I think anything with Tim Curry could stand the test of time! I agree! I have to rent it…..maybe its on Netflix! I freaking LOVED this game when I was a kid. 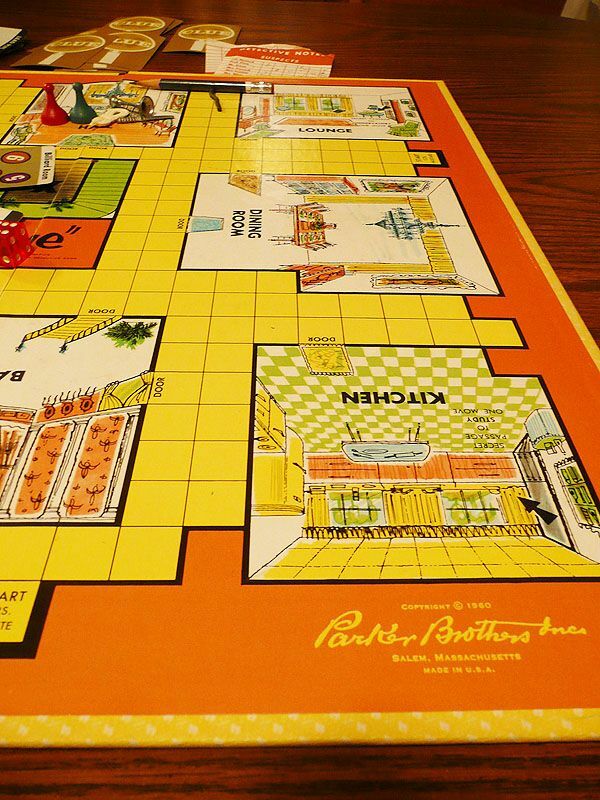 Every Sunday was board game afternoon in our house an I loved it! We played the heck out of Clue. 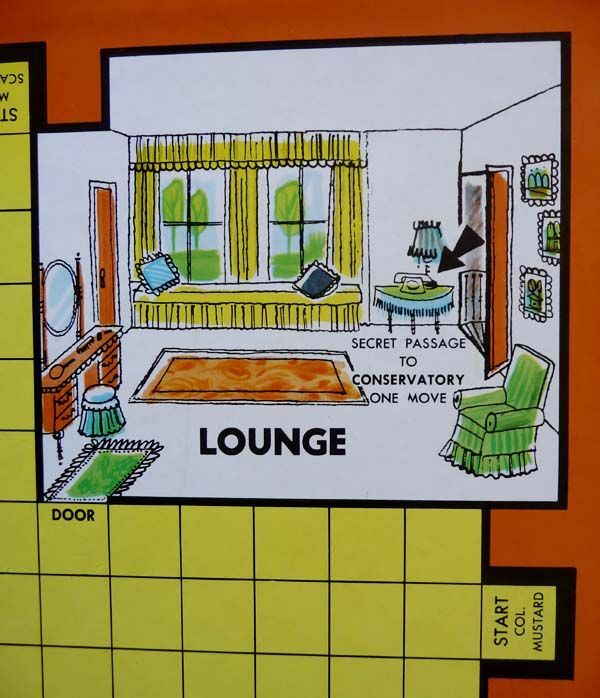 I remember that we used to make a big deal about the Secret Passageways and take our pieces and make them travel around the room or house to get to the other side of the board. Hee hee! I grew up with the seventies version too! Just seeing it made me smile! Although I love the look of the original one. I always thought Professor Plum was awesome! And the Lounge had to be the coolest place on earth! Jody, you know how much I loved that film too. And totally because of Madeline Kahn. oooh yes, LOVED Stop Thief too! 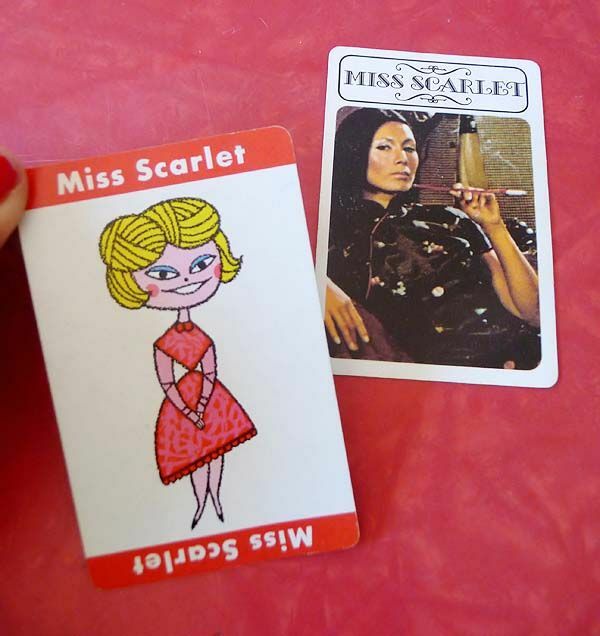 I was always Miss Scarlet too! My family had the original version–I guess because I have older siblings–but I definitely recognize the ’70s version as well. 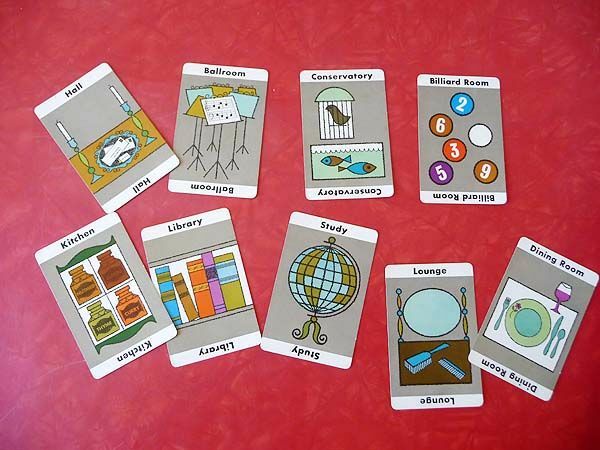 This makes me want to dig out the board games! OMG! I just realized I grew up with the 1963 version! I hope my parents still have it. If they do, I’m sneaking it out of their house and framing it. Or something. Oooh how fun! I discovered this version totally by chance at a thrift shop. It’s SO cute. Wolfie loves it! aw that’s SO great! I love it! Mr. Green Jeans….hee. Thank you for sharing this.I played both versions as a child. Brings back so many fun times, I think I need to find me one soon. I hope you do, it’s one of those games that’s just as fun as you remember! So many memories seeing them! So much fun! Thanks! It’s fun seeing other people sharing these memories! 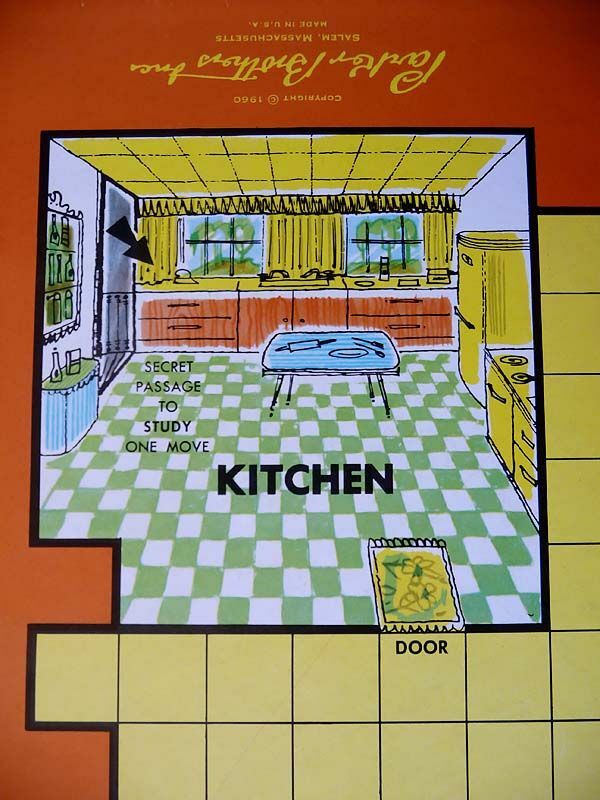 Same with me – I had the 1972 version. Loved that game! 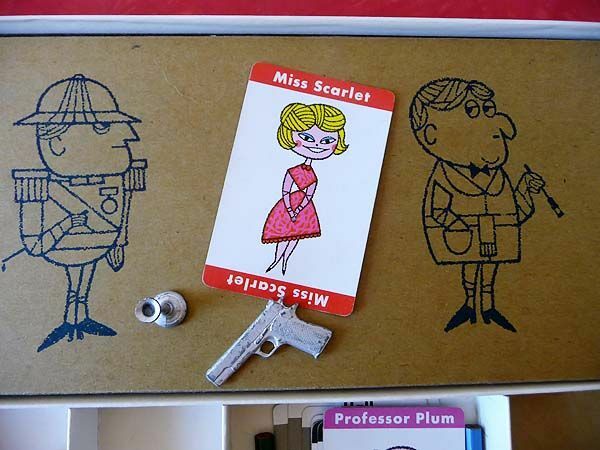 I always thought that Miss Scarlet was so pretty. 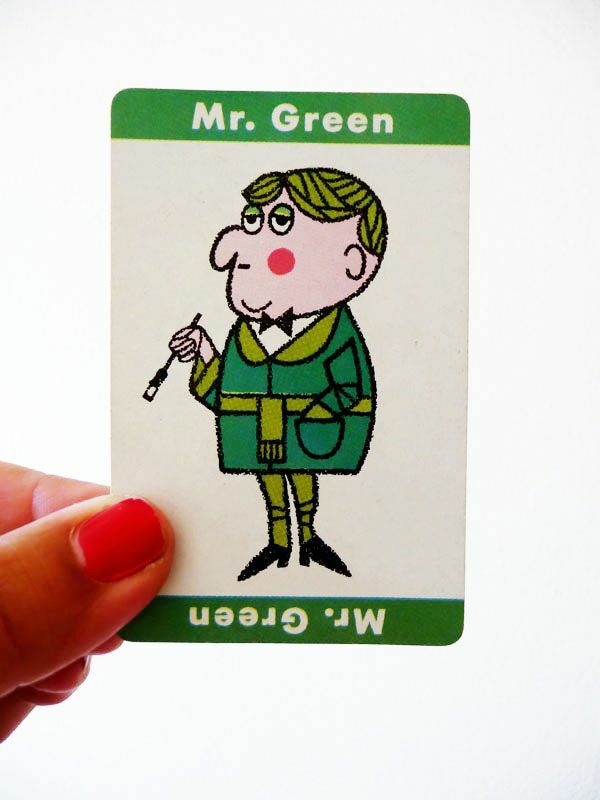 Mr. Green freaked me freak. 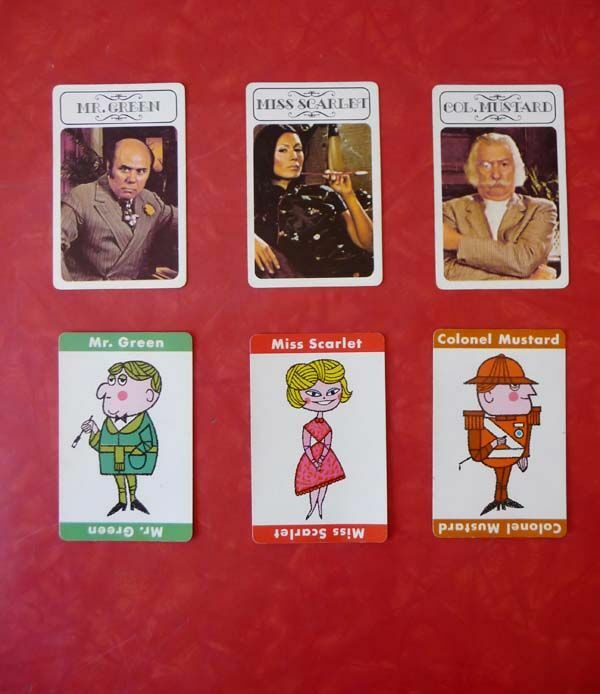 LOL I was intrigued by Mr. Green…..and Colonel Mustard. And I always wanted Ms. Peacock to be flashier. She was kind of dowdy!! !